Just a century ago, the aging could expect to move into the homes of family members. As healthcare advanced and cultural expectations changed, increasing numbers of senior citizens were moved into nursing or assisted living facilities. Though helpful and sometimes necessary, residential medical facilities for the aging are often not desired by seniors. Live-in home care is typically a preferred alternative. A more personal, customized form of assisted living, live-in care allows the aging population to remain in the comfort of their own home. Being able to live at home while receiving care can vastly improve one’s quality of life. 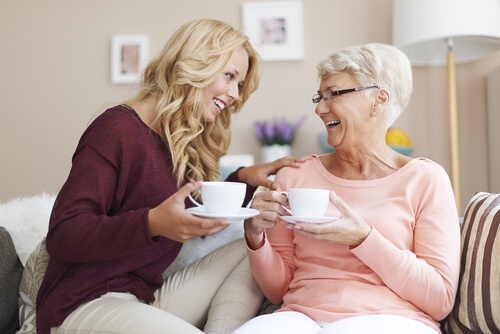 As your loved one’s sizable generation ages, live-in care is an important consideration. Due to the size of the generation, the segment of people aged 85 or older is one of the fastest growing in the United States. Individuals near and over 85 years old tend to have long-term health conditions and require long-term care. Increasing numbers of individuals aged 65 and older are also experiencing long-term health concerns. As people age, their care needs also tend to expand. While some in the aging population are able to remain at home independently, it is common for seniors to need more and more assistance each year. Many begin requiring assistance with transportation or housework. Then they often develop the need for assistance with personal care or mobility. Gradually, as people age, they often need full-time care and assistance. That’s when many families are faced with the question of how to get around-the-clock care for their aging loved ones. Assisted living and nursing facilities offer 24/7 care to the aging. However, they cannot offer all the comforts and freedom of being at home. Live-in care combines the best of both home comfort and quality care services. Live-in home care meets the growing and changing needs of the aging. At the same time, this form of care affords seniors the freedom and peace of spending their days in their own home environments. Seniors enjoying home care have one-on-one assistance, companionship, and can have care programs customized to their preferences and needs. Each of these unique qualities of live-in home care improves quality of life by allowing seniors to age in place in their beloved communities and home settings. There is research that indicates that clients do better in a home than in a facility setting. One of the concerns many families face as their loved ones’ age is whether or not meeting seniors’ wishes to age in place is feasible. Practically, many home care agencies offer diverse services, including live-in care, to meet the changing needs of the aging. Financially, home care can also be affordable. Often, live-in care can be much more affordable than being in a skilled nursing facility. Choosing to support a senior’s decision to age in place at home can contribute significantly to how much they enjoy the aging process. Aging in place can improve quality of life in a manner that positively impacts seniors’ health and outlook. If you are considering live-in care for your aging loved one, learn more about your options by downloading this FREE Guide to Home Care.